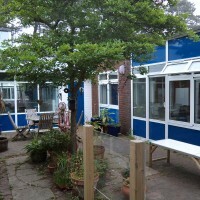 Description Heathfield School is a designated special needs day school for children aged 3 to 11 years. 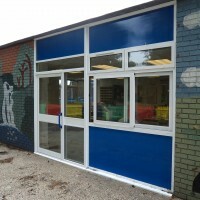 After a successful first installation in February 2013, the team were invited again in April 2013 to complete a project to replace the school’s remaining windows and doors. Special features Both the original single and double doors were alarmed. The system was de-activated by our team and the old doors removed. 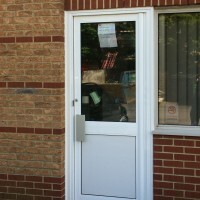 The alarm system was reinstalled and tested on completion of the new door installations. Description Testo Limited is the UK subsidiary of testo AG and is based in Alton, Hampshire. They are a key supplier to the Facility Management and Industrial Maintenance Sectors where they provide the full range of instruments which are critical to the effective and efficient maintenance of premises, and allow compliance with all key regulations. The customer said I would like to offer my congratulations on the most efficient full and professional service you provided for us. 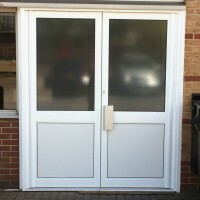 We had the two sets of very old doors replaced by very modern and high quality units made especially for the job. Your fitters came in as expected and did a great job, completing it tidily and to a very high standard of finish. Thanks to all your team for their professionalism and good work. 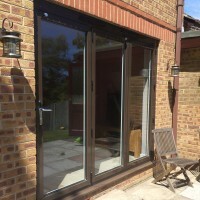 Products installed Sliding bi-fold doors to lounge. Special features These 3-pane doors are dual colour - white on the inside and brown on the outside. 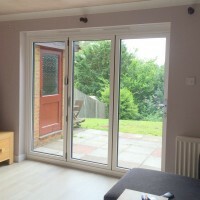 Description These bi-fold doors replaced a set of patio doors now giving the customer's lounge a very open aspect to the garden, bringing the garden into the home. 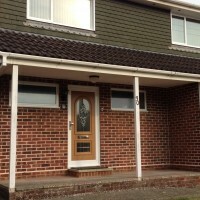 The customer said We were amazed how quickly the doors we manufactured and installed. They truly exceeded our expectations! 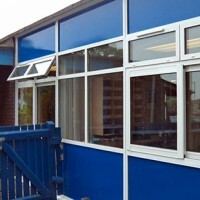 Fantastic design, robust, quick and easy to open they have changed the entire appearance of our lounge inside and out. We now have fantastic entertaining space throughout. 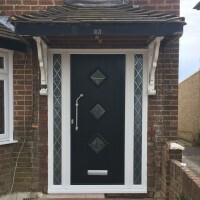 Products installed Composite front door and UPVc side lights. Special features Designer door handle fitted. Description This project involved widening the door opening to allow side lights, which involved brickwork removal to either side of the door, thus allowing more light into the hallway. The customer said My door looks amazing. I am so happy. Thank you. 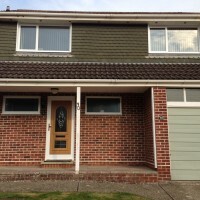 Products installed Replacement of all windows and front and rear doors to property. New installations included aluminium casement windows in white and dual secure doors with multi-point high security locking. 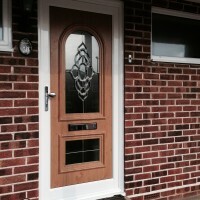 Special features The front door is fitted with a composite decorative front pane in light oak-style on the exterior whilst maintaining a white finish internally with bevelled edged glass. 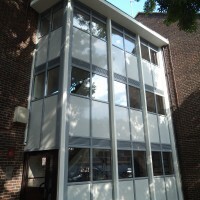 Description This 1960's property has been upgraded with the new installation of Crown SAPA windows with SAPA Dual Secure front and rear doors, which enhances the appearance of the property, whilst increasing security and maintaining a high degree of heat retention. The customer said We have no complaints at all. The fitting team were very friendly and took their time to do a very nice job. Thank you. 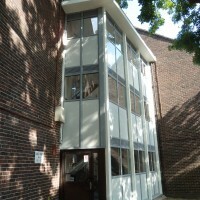 Description Removal and disposal of old crittal windows and installation of new SAPA window walling consisting of 4 screens to the communal areas of the stairwells. 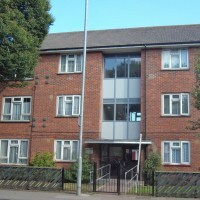 The work was carried out whilst maintaining clear and safe passage way for all tenants and visitors during the installation. 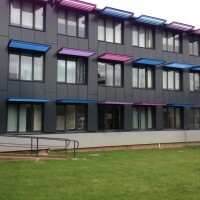 Description Major college refurbishment project involving the removal of in excess of 150 critall windows and wooden doors and upgrading to the SAPA aluminium door and window range with high performance glazing.